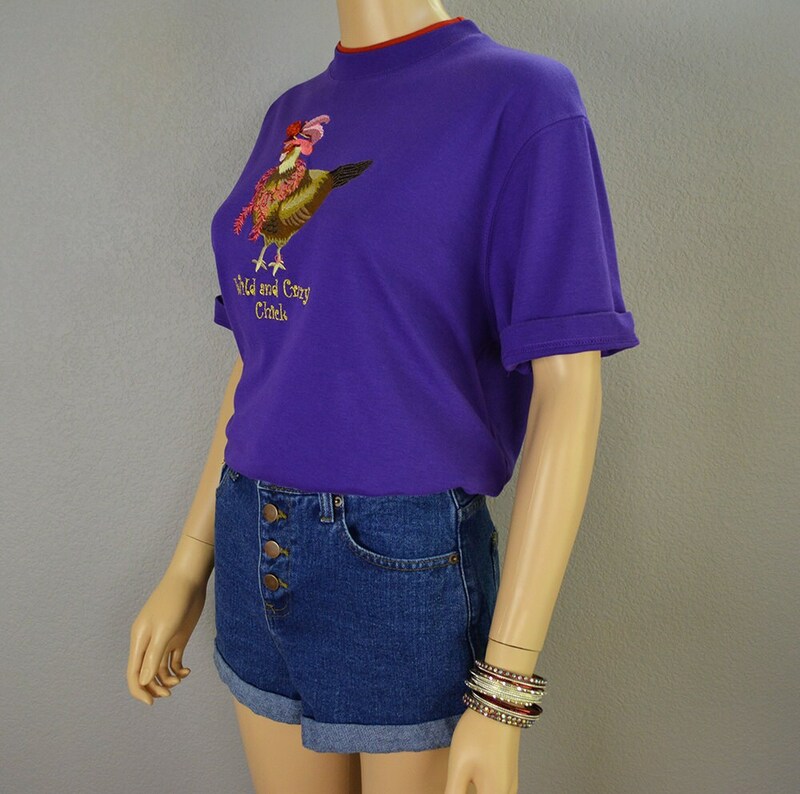 We are cracking up by the adorable embroidery job on this 90s bird shirt. 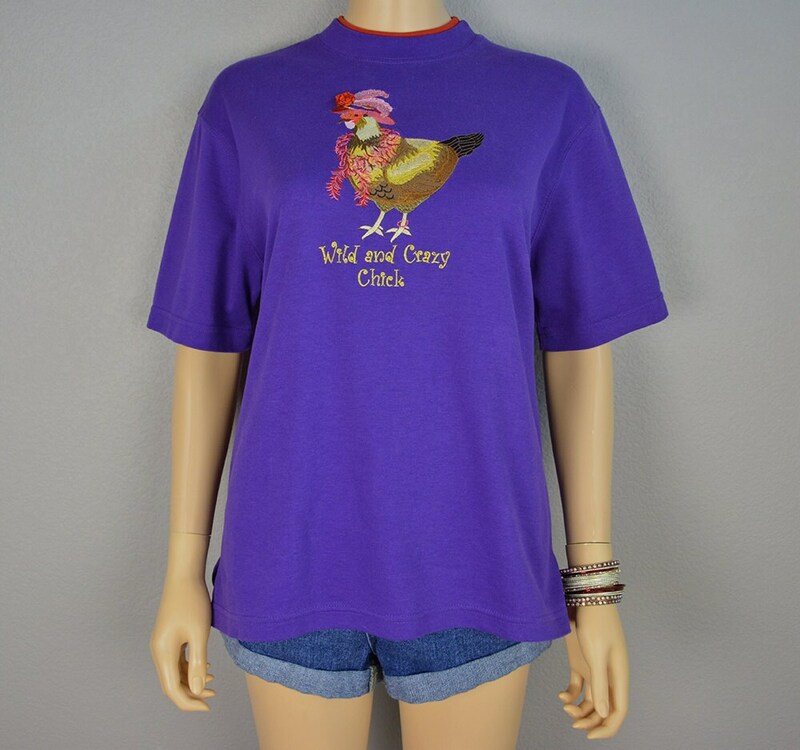 This shirt is just too darn cute! 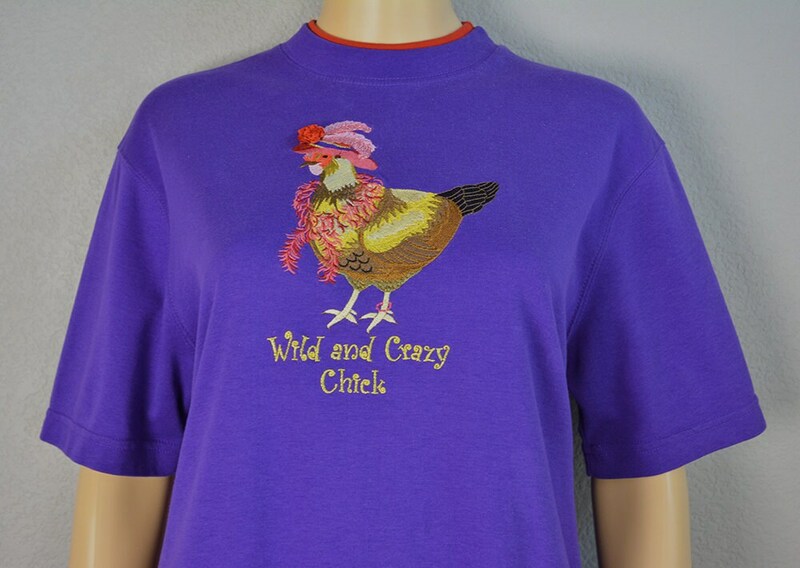 This tee features a chicken decked out in fancy accessories with the saying, "Wild and Crazy Chick" underneath. 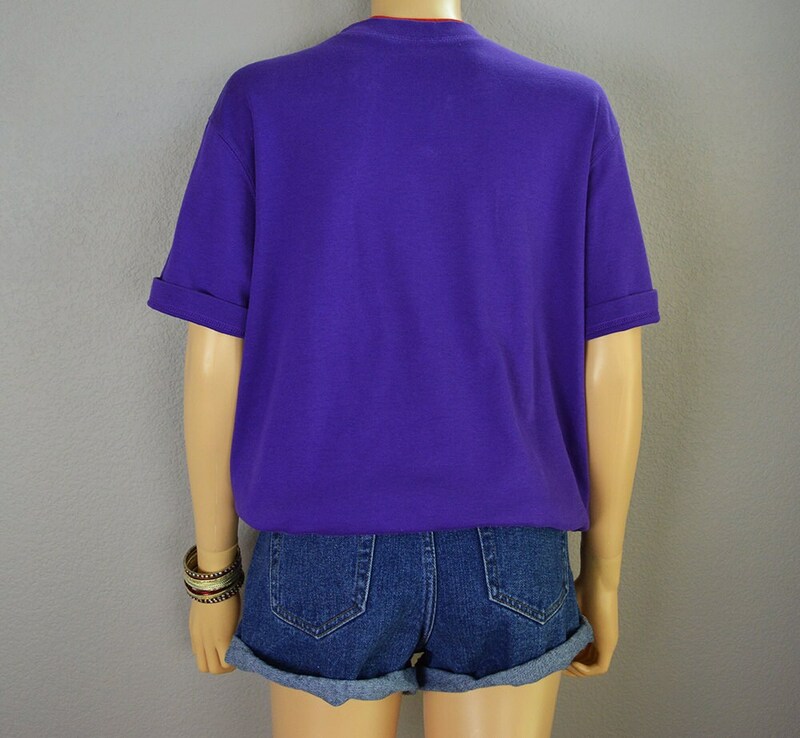 This shirt is made of a very comfy cotton and poly blend. It is machine washable and in excellent vintage condition. 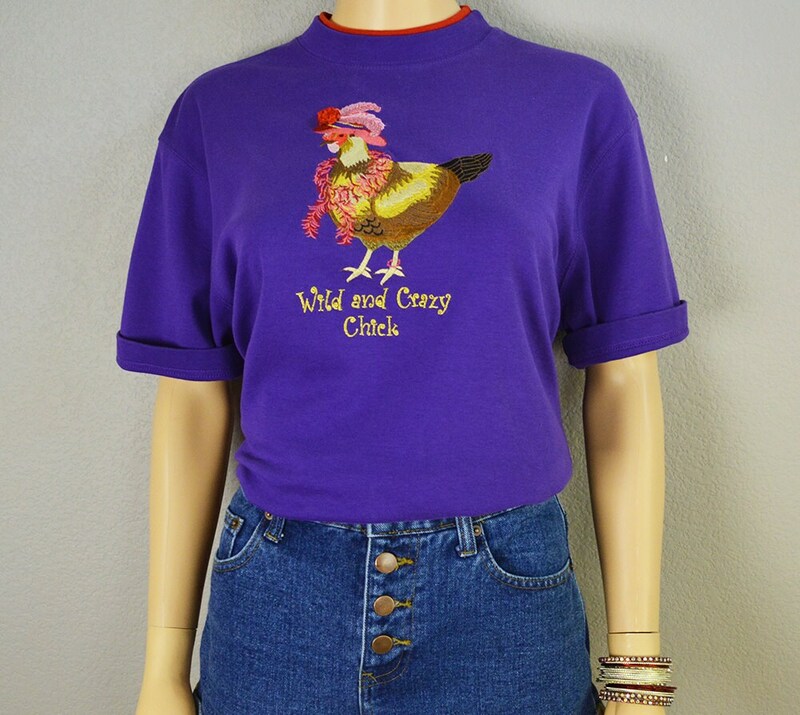 You gotta have this shirt in your life! Size: Small. Will have a loose fit.